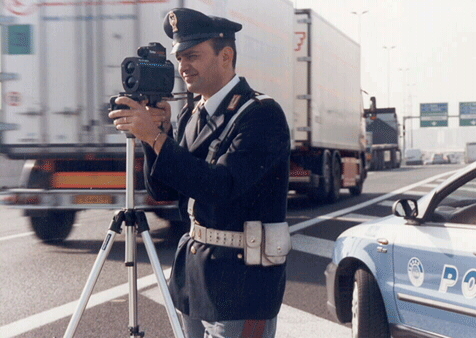 If you are coming to Italy on your holidays this summer, then watch your speed, otherwise you will end up on film. This vacation snapshot taken by one of Italy’s speed cameras will result in a fine dropping through your letterbox at some time in the future. This post also contains information on the ‘Tutor‘ anti speeding system and speed limits for certain sections of Italy’s autostrada. 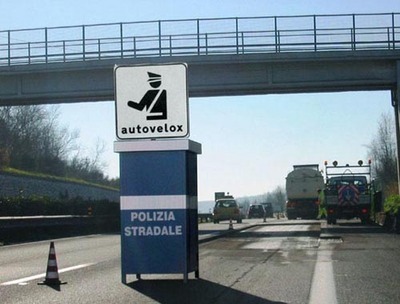 The term for speed camera in Italy is ‘autovelox‘, and the Italian police use both fixed and mobile speed cameras to check that you are staying within the speed limits. 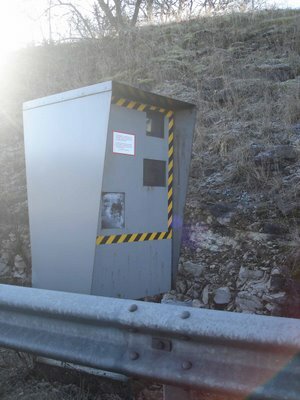 To help you watch your speed, here are some photographs of some of the types of speed camera you will see around Italy. Note that speed limit signs in Italy are not always too easy to see. On motorways/freeways you may not be able to see a speed limit sign owing to the presence of high sided vehicles in inside lanes. If in doubt keep your speed at the same level as other traffic, but this is only a general rule. When the traffic around you slows down for no apparent reason, do the same. Be gung ho and you’ll go sailing past a speed camera or speed check far too fast and the Italian authorities may well end up sending you an extra holiday snap accompanied by a request for payment. Alternatively, if you ignore the slowing traffic, you may end up htting one of the cars in front of you. As with other major roads around the world, traffic levels in Italy can cause slow downs for no apparent reason. Be patient and after a while the traffic should speed up again. When driving in Italy, if you see this one armed, hand-less policeman, or something like it, watch out because the traffic police are watching you. Also visible in the picture above is a good example of what an Italian road speed limit sign looks like. Watch out for these, because certain sections of motorways in Italy have different speed limits. The reason why the speed limits suddenly change is not always that clear. 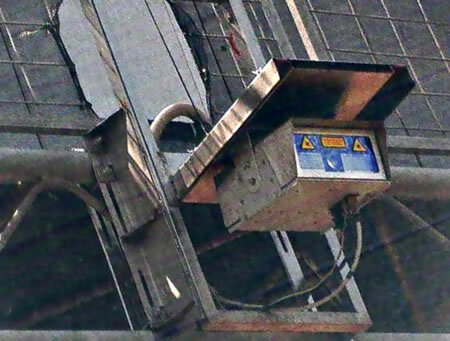 Yet another type of speed camera you may encounter in Italy is the variety which hangs beneath autostrada bridges. These cameras are not easy to see when you are driving towards a bridge, although if you see something similar hanging from the bridge in the other direction, it is likely that these speed cameras will exist on your side of the road too – so keep to the speed limit. OK, so now you know what Italy’s speed cameras look like, but maybe you would also like to know where the fixed speed cameras. Well, here is a map of speed camera locations in Italy, but be careful, as it is not clear how up to date it is, although this map was accurate in May 2007, I understand. Once a fixed camera has been installed, it is unlikely to be removed. For your information, ‘postazione visibile‘ means the speed camera can be seen, whereas ‘postazione nascoste‘ indicates that the speed camera is hidden. The 200km numbers indicate at what position the speed cameras are on the road on which they are located. For example, if the road is from Milan to Rome, and the camera is at 200km, then means the speed camera is 200km from Milan. A1 indicates the route on which the speed camera is located. 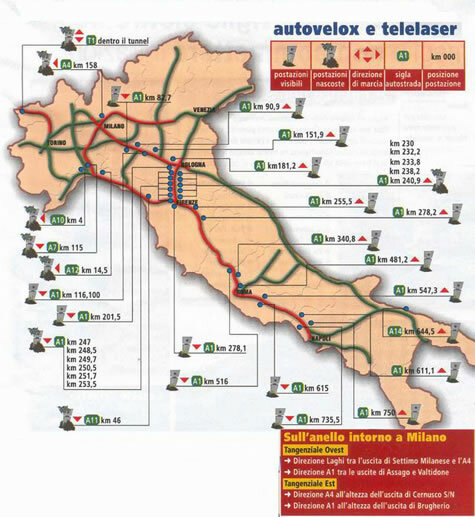 A map or GPS system will help you identify Italian route numbers. iPhone users might be interested to hear of an iPhone application which can warn you of the presence of speed cameras in Italy- it’s called iSpeedCam Italy, and can be found here for a couple of dollars: iSpeedCam Italy on Apple’s iTunes store. For everyone else, try Amazon.com or Amazon.co.uk for GPS speed camera detectors – but before you buy something, make sure it will work in Italy. Note that the older type ‘radar detectors‘ are illegal in most European countries, and you will be fined if you are caught using one. GPS navigation systems do sometimes include speed limit warnings and some ‘know’ where the speed cameras are located – but beware – camera positions can change and new speed cameras are being added all the time. Keeping to the speed limits should keep you out of trouble fine-wise. One some Italian motorways, the ‘Tutor‘ is operating and what it does is track your average speed over various tracts of Italian highways. The system, which has been in place since 2005, has, apparently, so far been located in accident black spots. Although I have had a look at the Italian police site sections on the Tutor system, it is not clear just what the consequences are of exceeding what is considered to be the correct average speed for a Tutor monitored tract of highway. However, it is likely that drivers exceeding average speeds will receive a fine, or that speeding drivers will find a police patrol car on their tails. Note that the Italian police do use unmarked cars too, so slowing down may not help. And it is worth bearing in mind that the consequences of infuriating the Tutor system may not be known until a traffic violation notification drops silently through your letterbox, and such notifications are sent to all corners of the world, most often by registered mail. A map of the location of Tutor systems can been seen here: Electronic Speed Monitoring – the information is in English. And before you start chasing that fast moving Ferrari in your Cayenne Turbo, be aware that the heavy footed Italian Ferrari owner in front of you probably has friends in high places. Such is Italy. Dealing with speeding fines received after a trip to Italy can be complex and fiddly, not to mention potentially expensive. Motorways/Freeways/Autostrada 130 kph (81 mph) – but limits can and do change on different sections of this type of road. (Italian Highway code revision July 2010) Motorways/Freeways/Autostrada 150 kph (93 mph) – but only on certain sections. 150 kph speed limit signs will be in place – but do not assume you can travel at 150 kph. Over 179 km/h: fine of 357 Euros, and 10 points deducted for holders of Italian driving licences and licence suspended for between 1 and 3 months. With a little luck, the information here will help you avoid having a speeding fine drop through your letter box after your vacation in Italy. Whereas plenty of people do get caught by speed cameras, even more seem to be caught by restricted traffic zone – ztl- cameras in Italy, as my post Speeding, and other traffic fines in Italy with nearly 700 comments will clearly demonstrate to you. Leaning tower town Pisa is a fine hotspot, by the way. Enjoy your stay here. Have a wonderful time, and drive safely! While every effort has been make to ensure the information in this post about speed cameras and speed limits in Italy is accurate, laws change, new cameras are added and new local speed limits may be applied – please bear this in mind. If you want to help keep this post up to date, you can. Please leave new information in a comment and always add a link to the source of your information as this will help keep this post an accurate and useful resource for those wishing to drive in Italy. Many thanks. Just received a Notice of Violation/Fine for “circulating without authorisation” in a Restricted Traffic Zone that allegedly occurred in Pisa near the tower more than yr and a half ago. What a racket!! I’m going to appeal on the grounds that I did not receive notice within 360 days of offense. I’ve been complaining since my first visit in 1969 about how the national pastime of Italians is ripping off tourists. This may have been the last opportunity for them to get me. It’s a fabulous country but they need to rid themselves of the defective gene they are born with – larceny in the heart. 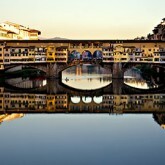 I trust you’ve read this post: http://italychronicles.com/speeding-fines-in-italy/. Do not forget to enclose a readable copy of the Official Notification . The T-Red system employs an LED infra red illumination system to help read vehicle registration plates apparently – this means the cameras must be receptive to infra red light. The T-Red system is used to monitor traffic lights and photographs those who pass when the light is red. The Tutor system, which is used to monitor average speeds over longer tracts of roads, uses infra red sensors. This means that the Tutor cameras are better able to photograph registration plates in total darkness than in full daylight apparently. In summary, the answer is probably yes, in that infra red systems are used in traffic monitoring cameras in Italy to assist in conditions of low light but not only, and the cameras must be sensitive to infra red light for them to work. how about the infra red camera’s allready in use? Have fun exploring the rest of my blog – I’m shutting things down here – a huge great thunder storm is about the kick off, and I don’t want it to fry my already hot pc! Awww, thanks for missing me! I’ll have another go at Twitter, but it will be difficult not to get carried away, as before! 150kms is quite a round trip to do every day. Whereabouts do you come from? 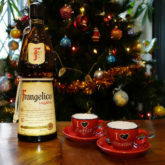 Personally, if it weren’t for work, and child, I’d live miles away from Milan in some quiet county area – as long as I could work via internet that is. Just stumbled across your blog – very interesting indeed! I do a 150 km round-trip everyday to come to work in Milan and whilst throughout the rest of the year I hardly ever get out of second gear for the whole journey, right now I arrive in record time… Obviously safety comes first, but it’s also good to know where they’re waiting to catch you!!! Hey! and we miss you in Twitter! come back! Yes, it is awful, but accident prevention is more down to saving money, as you point out, than saving lives, even if, lives are saved. I’m not sure removing cameras will make a difference in the long term, although one hopes so. As a matter of interest, since auto fine gathering has been implemented in Italy, the municipal police have moved from Fiats to Alfa Romeos! Funds must be pouring in. The cameras near where my family lives in California are being taken down. People used to run red lights. Turns out, once people found out where the cameras where, they began to drive carefully, and the city was no longer issuing tickets. So, since they are no longer profitable, they’re taking them down. Thanks for the info on the Tutor system – it’s quite a system, with it’s ability to measure average speeds over long distances – from 10 to 25 Kilometres. This is the speed detection of the future, and will not allow drivers to escape fines by simply slowing down when near a speed camera. The system must generate a huge amount of fine income, I imagine. All the best, and have a good summer break, if you are taking one. 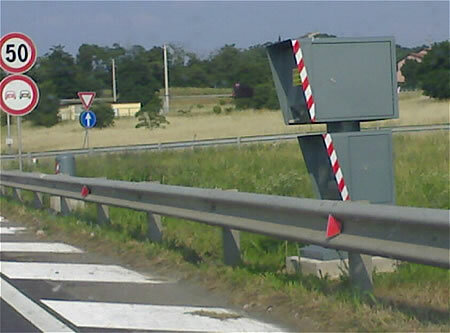 The A4 freeway (Torino-Milano-Venezia)too has a brand new speed camera system in the area between Milan and Brescia. @Judith – I think there are more than a few variations of a theme with regard to these units. And you are right, get caught with too much wine in you, and you will ruin your vacation. @Miss Exp – glad you like the colouring! Retro fashion! That second picture looks like it was taken in 1972. In a good way. Love the coloring! Ours look different! The one I know the best is a white box with no decorations. It was once one of four, but it serves alone now with the stories about the others as backup. One thing that is very difficult here is that you can receive a ticket 6 months after the claimed offense. It can already have interest added. Six months afterwards, unless you have a receipt dated and from too far away to allow you to have been at the site, there’s pretty much nothing to do. Pay it. I knew one tourist who could prove he was in Naples when being cited in Bergamo who got off. Everyone else is forced to cave. Now you need to tell how bad it is if you get caught with your blood alcohol above the limit!